Autoimmune diseases, where the body attacks its own tissues, rank among the most difficult of all human conditions to diagnose and treat. These puzzling illnesses can impact all areas of a person’s life, and it takes the highest level of expertise to properly treat and monitor those who live with them every day. 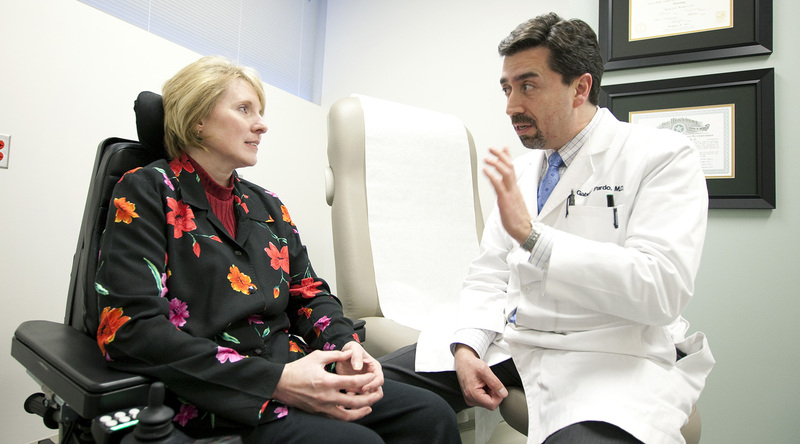 Physicians in OMRF’s patient clinics are world leaders in understanding and treating lupus, rheumatoid arthritis, multiple sclerosis and other autoimmune diseases. They’re the ones the experts seek when questions arise about autoimmune disease. The clinics at OMRF offer the highest levels of patient care. Patients in OMRF’s clinics are also offered the opportunity to participate in clinical trials and cutting-edge research studies. Our specialists practice “translational” medicine, where they link observations made in the clinic with laboratory research to help speed the discovery of new diagnostic tools and treatments to benefit patients everywhere. If you’re living with an autoimmune disease and would like to schedule an appointment with one of OMRF’s physicians, please contact us for more information.